Arise Virtual Solutions Agents are required to use a hard-wired telephone with a compatible headset for production as well as a USB headset with microphone for training. You do not need a separate USB headset! Simply choose the option to add a USB cord to the Pro, Air or Flex Series Telephones. *Optional USB cord for training not available with the Eco Series Telephone. Your connection to your customers/clients is the most important part of your job. 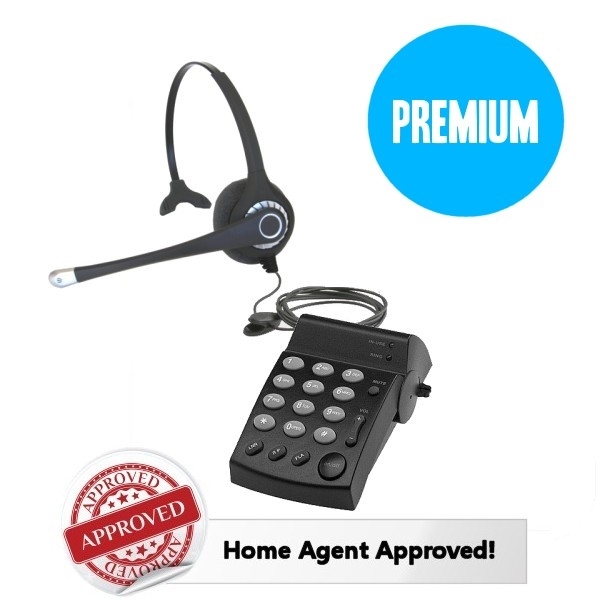 Our professional grade, complete headset telephones are made specifically for Arise Virtual Agents. Good looking and great sounding, the Flex Series is the rock star of headset telephones! Available in single ear or dual-ear wearing styles, the Flex Series headsets are designed for years and years of heavy use, comfortable wearing and superior noise canceling, featuring a quick disconnect cord allowing you to easily unplug the headset from the dial pad or to add the optional USB cord if you need to plug into your computer. The Flex Series is our only line of headsets that offers wideband technology enabling crystal clear communications for telephone calls via VoIP. Choose the Flex Series Headsets if you want Exceptional Sound and Style!